Mount Annan Hotel is a local favourite and a proud supporter of the Mount Annan community. 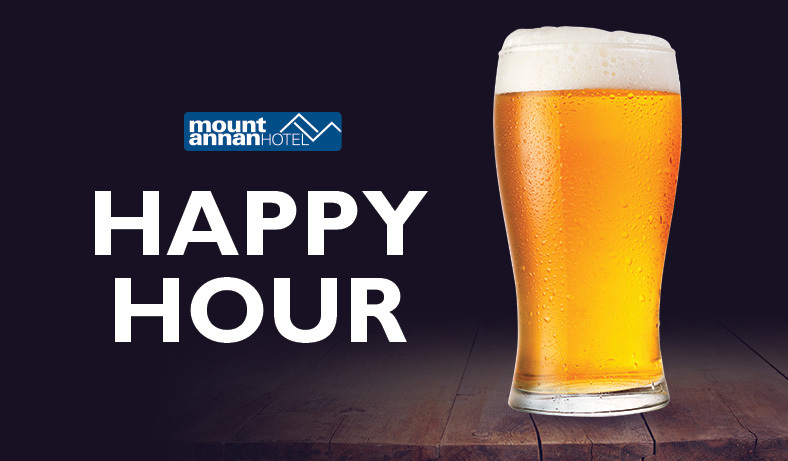 Featuring an open plan sports bar & TAB, casual dining area, large outdoor balcony and kids' corner, the Mount Annan Hotel is the perfect place to catch up with family and friends. Our new menu presents a great range of dining options for you and your guests, from delicious pizzas to share, to the pub classics such as schnitzels & rump steaks. We are the perfect destinations for families, groups and friends for an enjoyable casual dining experience. We are a traditional pub that has become one of the best places in the area to watch live sport. We offer a warm atmosphere, excellent food and beverage options, boasting several large screens, a projector screen, TAB, a pool table, outdoor dining and kids play area. 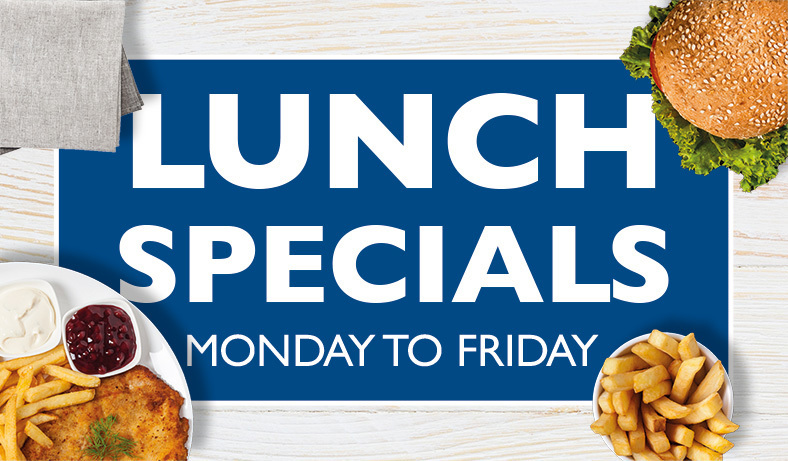 We're serving our delicious traditional Mt Annan schnitzels for only $12 every Monday night! For only $14.50 get our classic Parmigiana. We've got the cooking covered on Monday's to help you ease into the week! 2-4-1 menu during dinner and receive your second meal (of lesser value) FREE! We've got a scrumptious menu selection to satisfy your mid-week appetite! This ANZAC DAY join us at MT ANNAN HOTEL!! ANZAC DAY NRL match LIVE and LOUD on our BIG SCREEN! Hop to the Top - Purchase any house spirit and upgrade to a premium for FREE!! $1 Easter EGG guessing competition - with all proceeds going to LIFELINE MACARTHUR!!! Mount Annan Hotel is home to one of Sydney's premier VIP Lounges. The Dragons Den is open till late, 7 days a week. Our hosts are committed to ensuring your experience is always exceptional. Mount Annan Hotel is proudly an official Publinc venue. The Publinc progran provides its members with great benefits, rewards and exclusive access to promotions at over 22 locations in NSW. Mt Annan Hotel is an official Publinc venue. Publinc Advantage membership is your key to access great benefits every time you visit Mt Annan Hotel and 21 other venues across Sydney. Mount Annan hotel is a proud supporter of the local community. Ensuring the continued development of the local community, Mount Annan Hotel proudly sponsors a number of the local sporting clubs such as the Mt Annan Currans Hill Junior Rugby League Football Club, Narellan Cobbitty Cricket Club, Narellan Rangers Football Club, Macarthur Orioles Baseball Club and the Mt Annan Social Golf Club. Through our community sponsorship program we are able to assist with the continued investment into sport development, ensuring the preservation of community life. If you represent a local community group or sporting club and are in need of sponsorship , contact us today to see how we can help. Are you a Publinc member and want to affiliate with a Sponsored Team? Mt Annan Hotel's Liquorstax bottle shop offers a great range of products and excellent value for money. Our team of knowledgeable staff are ready to help you find exactly what you need, every time. Look out for our red hot weekly specials and offers.